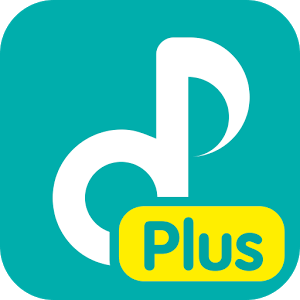 GOM Audio Plus is a high-quality & AD-free music player which supports sync lyrics while playing music file(s). The users may listen to music while viewing lyrics. Also, they can play & download popular podcast programs, and cloud music on GOM Audio Plus. ➢ GOM Audio Plus offers two sensational themes which allows the users to maintain their screen while playing music. ➢ GOM Audio Plus provides various types of widgets allowing the users to create their own set-up regarding size, feature (Sync Lyrics/Quick Play), color and others. ➢ Sync Lyrics Viewer allows the users to view or search sync lyrics of the currently playing music. ➢ Sync Lyrics Editing function allows the users to register or temporarily save the lyrics after editing the unregistered sync lyrics. ➢ GOM ID allows the users to manage self-registered sync lyrics. Also GOM ID allows the users to synchronize their Favorites on GOMPod to their own personal computers. ➢ GOM Audio Plus offers powerful sounds of 10 BAND’s equalizer and also offers various sounds effects including but not limited to Reverb, Playback speed control and Pitch control. ➢ The users can tune up, save and manage the Equalizer and Reverb effect on the program. ➢ GOMPod allows the users to live-stream and download popular podcast programs. ➢ GOM Audio Plus notifies the user’s favorite GOMPod’s episode update(s). ➢ My Music allows the users to manage their playlist by preference, artist, album and folder. ➢ GOM Audio Plus allows the users to manage various basic playlists. Also, the users can create their own playlist through Add My Playlist. ➢ GOM Audio Plus supports DropBox, Google Drive and OneDrive cloud storage system. GOM Audio Plus also supports WebDAV and FTP. ➢ Quick Play allows the users to play or change the music on the widget or on the lock screen without running the application. ➢ Auto Repeat is useful for both streaming and academic purpose. ➢ Timer allows the users to adjust the Auto-Shutdown function in hour/minute/second units. ➢ My Ring Tone allows the users to convert certain song into his or her ringtone. ➢ M/V allows the users to view music video of the currently playing song.